Strawberry's are at a great price right now so we have stocked up. I may have bought a few too many so I decided to put them to good use. 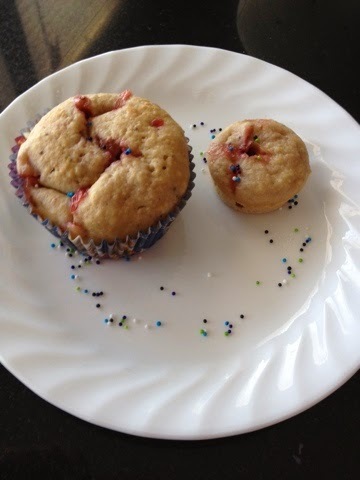 It has been a while since I have baked anything and the kids were excited to help. I found his recipe a long time ago and have used it many times and it always comes out great. Mix the wet ingredients together then add in the dry. 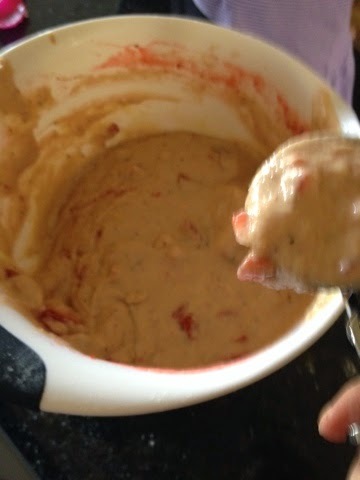 Fold in the strawberry's when the batter is all mixed. This recipe will make 12 regular size muffins or 1 loaf of bread. I also usually cut the sugar in half. The strawberry's add enough sweetness I think. 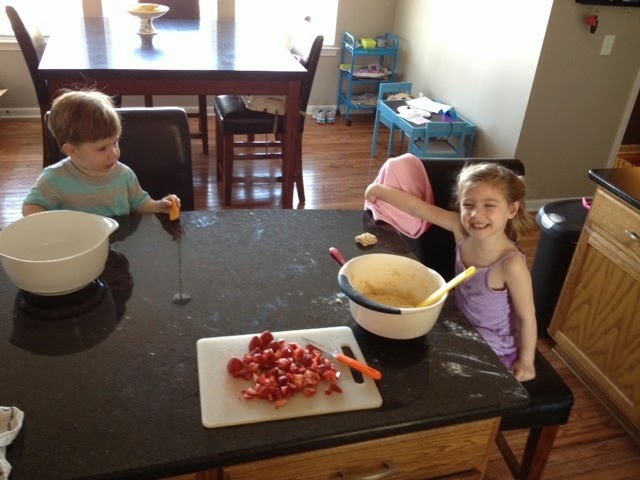 My baking helpers. Jack stirred that empty bowl the entire time. 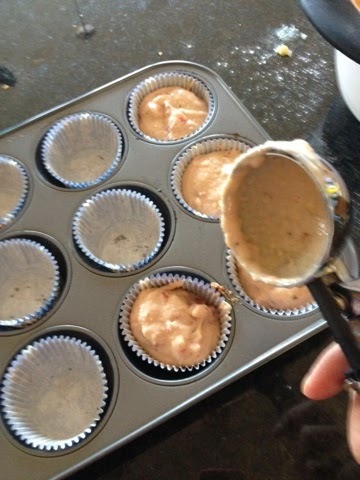 I always use a scoop when I make muffins. It makes them even and it is way less mess than pouring them in. A few sprinkles to finish them off.